seasoned with black pepper. 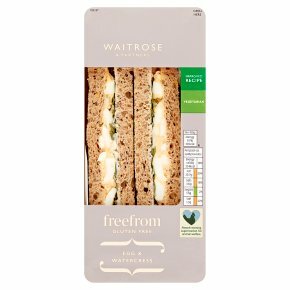 Creamy egg mayonnaise, topped with peppery watercress and seasoned with black pepper, on seeded bread. Made with free range eggs.